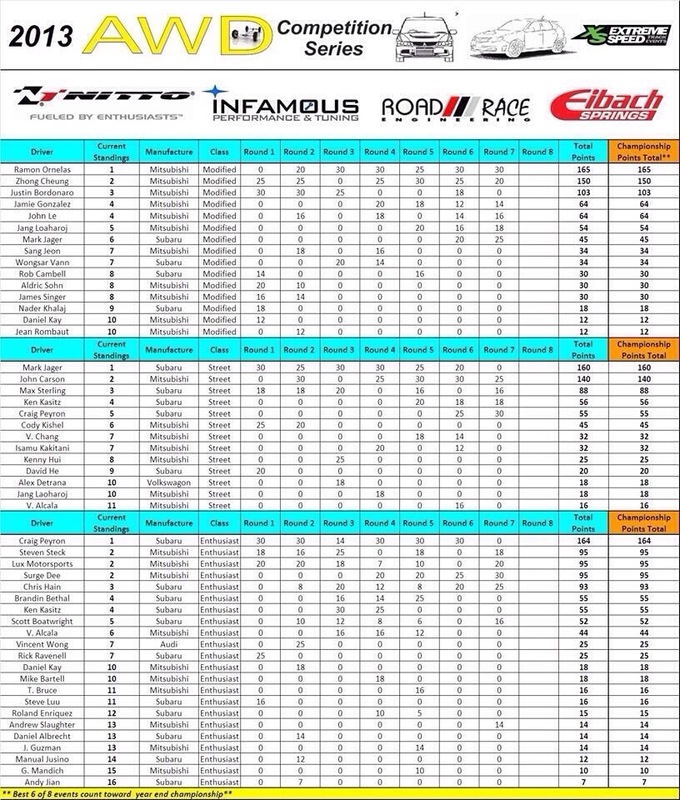 The 2013 XS AWD Competition was a suspenseful season, with racers in all classes bringing their A game in hopes of a place on the podium. The caliber of cars and drivers competing this season was reflected by the numerous records set at multiple tracks. I primarily competed in Street class, but also tried my hand in Modified. My season started well, largely thanks to the help of my sponsor Yimi Sport Tuning. While others were still prepping their cars going into the first round at Streets of Willow Raceway, I was all ready due to the Yimi Sport team’s hard work. This, along with the help of my Girodisc 2 piece rotors, lead to an easy first victory. Couldn’t have asked for a better start to the season! 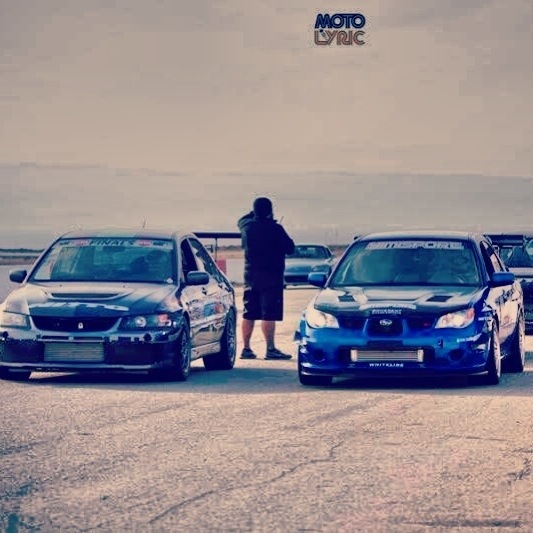 Willow Springs International Raceway, and this once again brought out fierce competition, but with my new Borg Warner 6258 Turbo and Full-Race uppipe the car was pumping out more power than ever. But, due to the rules in AWD Competition I was limited to 400whp. Jager Racing secured another first place victory thanks to Yimi Sport, Ken Kasitz, and all the other partners. Next, we were off on a voyage to the middle of the desert. Even more middle of the desert than WSIR. Jager Racing was headed to Chuckwalla Valley Raceway, with numerous firsts to tackle. This was my first time at this track and it is one that I will need to be improve upon. Another “first” and challenge Jager Racing faced was the addition of aero to the car. Prior to this event, I had never driven a car with aero, and developed a respect for the ability to make changes to enhance its performance. APR provided a sticking rear wing element to provide critical downforce to the car while Yimi Sport Tuning provided the front splitter to balance the car out. Even with all the firsts, I was able to earn another victory for the year, firmly setting myself up for best 6 of 8 in the competition. Then, again we were headed to Streets of Willow. The twist to this event, was that it was held at night. Night racing adds an entirely different element to the competition. Visual acuity is reduced, reaction time may be delayed, and with the races lasting until the later hours, your circadian rhythm may also be a factor effecting your performance. Another contributing factor to the challenge of this race was the inability to use my front splitter. The splitter removal was necessary to stay compliant with the series’ rules. Even with these unique obstacles, I was able to drive the car to a second place finish just behind John Carson. 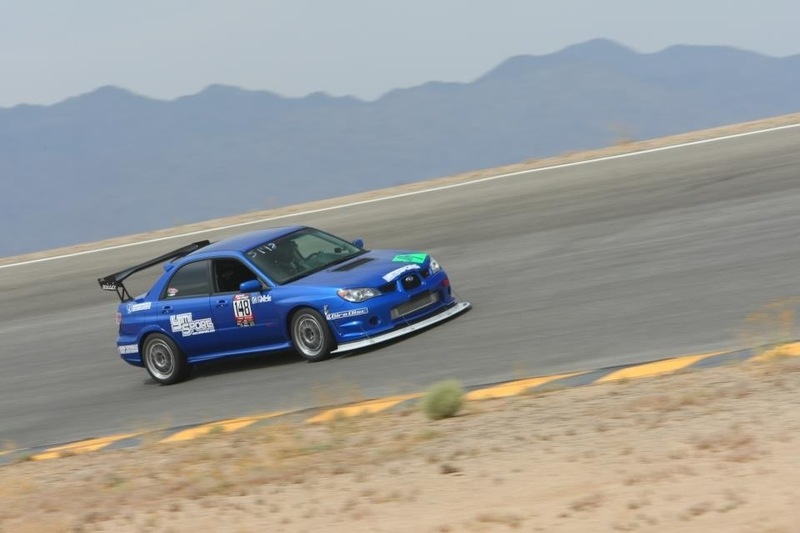 Then, the series had us all going back to Chuckwalla Valley Raceway. This time, I decided I would start to compete in Modified class. Honey Badger’s modifications were putting us in a position of having to remove parts to keep it legal for street class, so it made sense to try her full configuration in Modified. But I did put in one session for Street class just to add some points, and I managed a 3rd place finish in both classes. Going into the 7th round I decided to only run in Modified class as I already completed my 6 of 8 events for street class and with a good advantage I felt confident (as well as knowing my competitor John Carson would not be able to make it to the last round). Modified class turned out to be an exciting finish with myself sitting in first place up until the last lap of the day by Ramon Ornelas where he came out of 3rd place and took 3 seconds from his previous best time to grab first place and put myself in second. 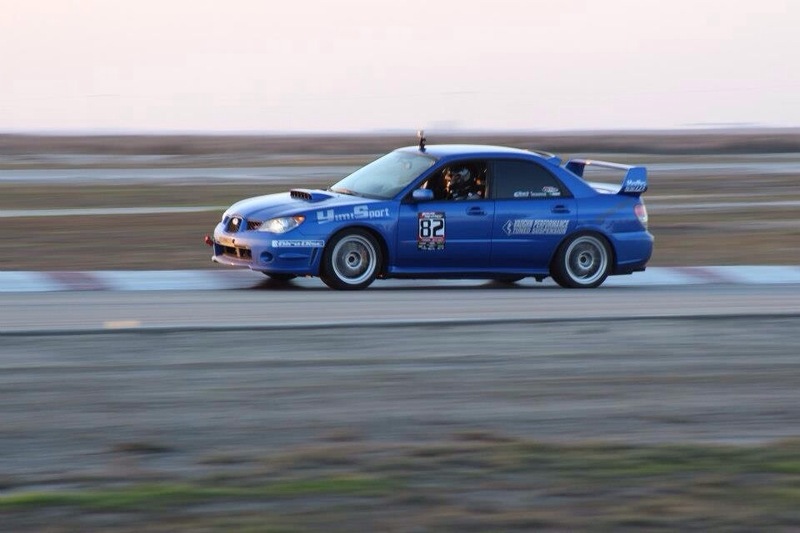 The final round landed us back at Buttonwillow Raceway Park on a very cold (by CA standards, of course) December day. To add more excitement and suspense to the final round, John Carson was able to show up for the final round. With his previous victories, he had a shot at the overall series victory as long as he placed 3rd place or higher and I did not finish above him. No pressure, right? Although I was competing in Modified Class, I definitely had my eyes on what was happening in Street Class. But, just like in the beginning of the season Buttonwillow was feisty, blowing my head gasket in the first session of the day after just 2 laps. 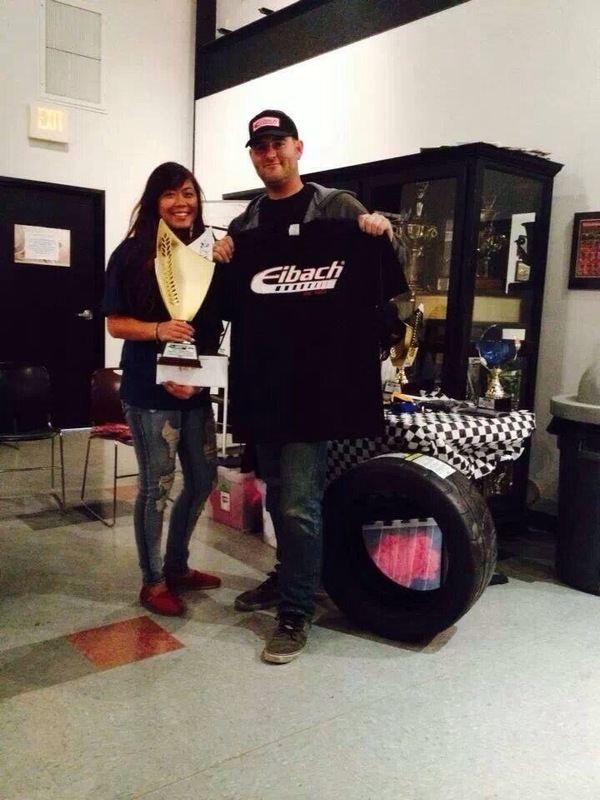 Luckily, my one hot lap was good enough for a 3rd place finish in modified class on this day. My tuner and friend, Paul Leung of Yimi Sport Tuning, was looking over the car to make sure that it was a head gasket. While he did that, I checked the times and noticed that John Carson has secured a 2nd place finish. If all things stayed the same after lunch, this would then give him the overall championship for the year in Street class. So, we did what we could and got the car into Street class trim for the series with the mantra, “One lap, all I need is one lap!”, running through my mind. After lunch, with fingers crossed I set out with my injured car and literally pushed it to its breaking point. Honey badger was quite the sight. With water from the overflow squirting onto the front and rear drivers side tires, starting to overheat while coming into the last corner, I beat John’s time by almost a second. This claimed a second place in Street class behind the “Outlaw” Craig Peyron, and most importantly, restored my Overall Street Class Championship. What an exciting year. This season was full of twists, turns, fierce competition, excitement, and adrenaline. I cannot say more about the support that I received from everyone on the Jager Racing team and all of the companies who partnered with us along the way. Let’s see what 2014 brings! THANK YOU! 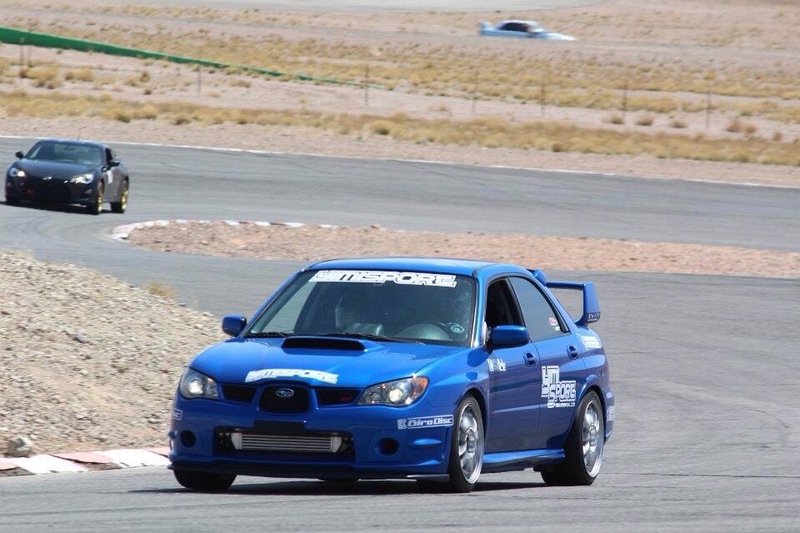 This entry was posted in AWD and tagged awd, awd 2013, Extreme Speed, Jager Racing, Ken Kasitz, Mark Jager, subaru, Yimi Sport. Bookmark the permalink.